We (being Rattlesnake Solutions) remove a few sidewinders a year, but this one was a little bit of a surprise. It was in a pool, puffed up and floating like a balloon. 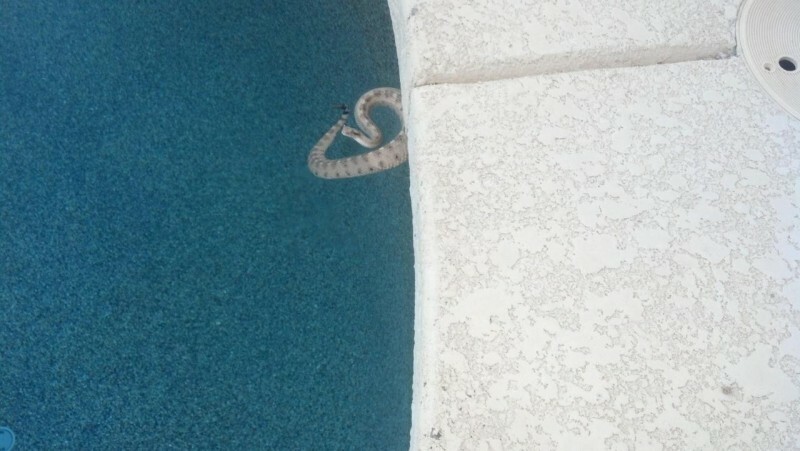 I’ve never seen a snake float quite this well. Maybe this is a way to survive in the sandy flat areas where they live. It was relocated after I took a quick phone picture. This entry was posted on Tuesday, December 24th, 2013 at 10:14 am	and is filed under Relocation & Rescue, Snakes. You can follow any responses to this entry through the RSS 2.0 feed. You can leave a response, or trackback from your own site.